Save time, labor, and profit! 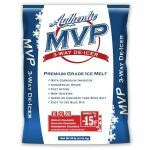 Midwest Salt offers some liquid solutions that melt more than a typical ¼’- ½” of snow that most anti-icers will melt. These liquids are a good solution when melting a dry snow of 1” or less.